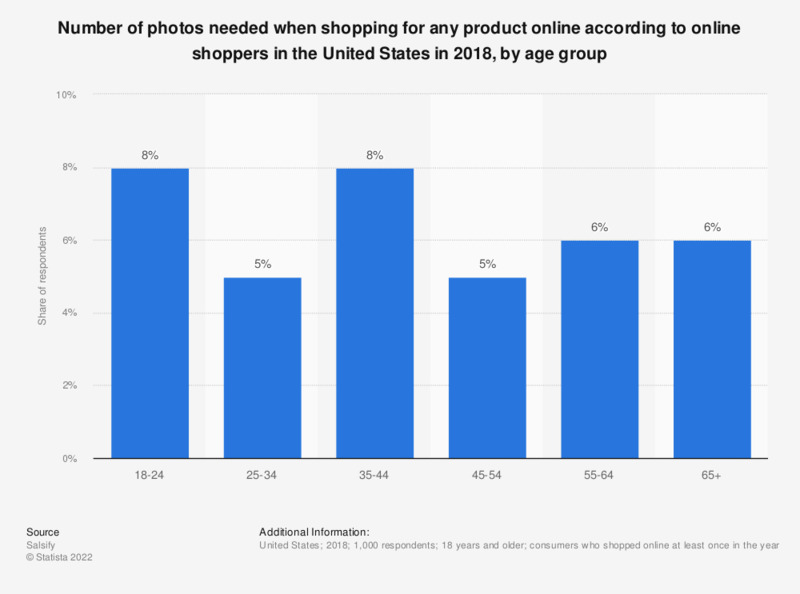 This statistic presents the number of photos needed when shopping for any product online according to online shoppers in the United States in 2018. On average, surveyed consumers aged 25 to 34 years stated that they expected five photos for any product while shopping online. Original question: "As a shopper, how many images do you expect when looking at a product on Amazon or another retailer?"